Iced Earth breaks new ground in the metal world with their debut album. Bassist Dave Abell and drummer Mike McGill lay down a solid foundation, Jon Schaffer fills in the cracks with his rhythm guitar, and the high pitched wailing of Gene Adam’s voice and Randy Shawver’s lead guitar are built on top that base. Add all kinds of nifty breaks, time changes, acoustic passages, and keyboards as finishing touches and you have Iced Earth. The completed structure is something that borrows ideas from other bands, yet is remains totally unique. The music is heavy, melodic, dark, fast, and complex. Schaffer plays true rhythm guitar, giving the band its trademark sound. Iron Maiden’s “galloping” rhythm is quite evident, except that Iced Earth is a much faster horse. This album is very raw and fresh; it provides clear evidence that Iced Earth will be a force to be reckoned with. Cover art by Rick Borstelman. 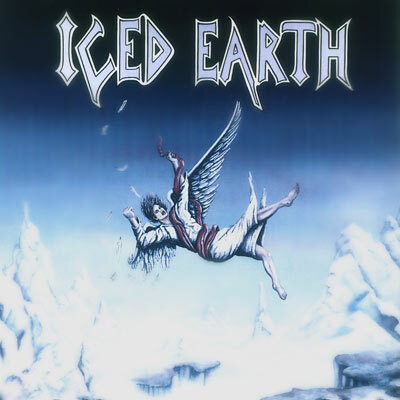 Iced Earth logo designed by Jon Schaffer.